Buy Carnegie IsoDisc Balance Pilates Board Therapy Spinning Top incl. Expander Tubes & Weight Balls from Carnegie Fitness at Camping Outdoor online. The Balance Board from Carnegie is the perfect training partner for an effective workout. It doesn´t matter where you train - whether in the gym, outdoors or in your own living room. The board is not only suitable for the build-up training of various muscle groups, but can also be optimally used for rehabilitation and therapy sports. Due to the use of tear-resistant plastic with granulate filling, the board is robust and the balls offer a non-slip surface for holding. 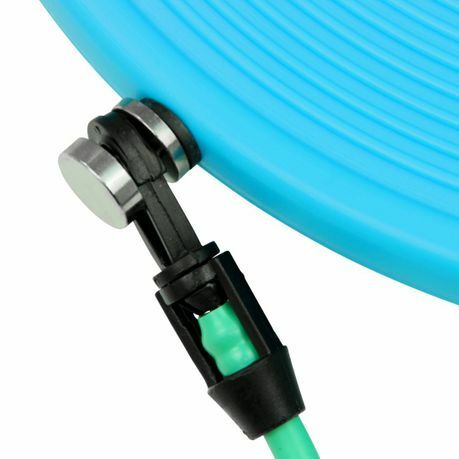 In addition, the surface of the balls is soft and abrasion-resistant. The Balance Board enables you to combine balance, Pilates, strength, stretching and fitness training. In addition to strengthening the arms, shoulders and upper body, the leg, back, hip and abdominal muscles can now also be kept fit. By processing plastic and filling the balls with granules, it is a perfect training partner. The balls are handy and pleasantly soft. A possible fall on the floor will not damage it. The Pilates balls are attached to the board with the expander. You will receive a training device that you have certainly not yet used. A variety of new effective exercises are now open to you. With the various fitness products from Carnegie, you have endless training possibilities. The range includes products for training the upper body, abdomen, legs, back and arms. 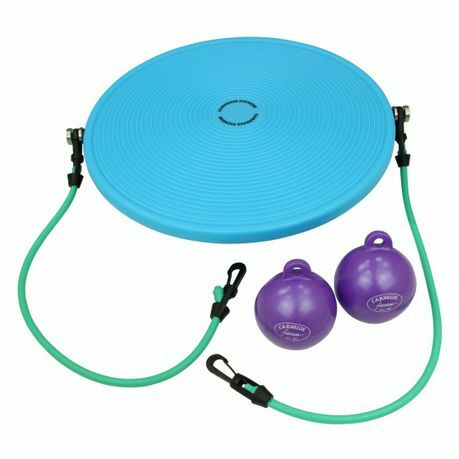 The balance boards in combination with the balls are the perfect complement to your exercise program. They train your shoulder, arm and upper body muscles and can also be used as weights in any other type of training. Balance also plays a major role here. 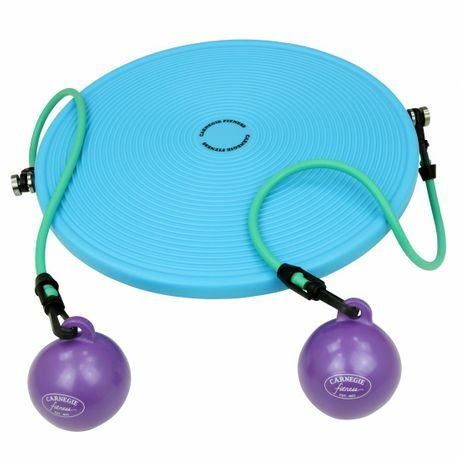 The handy ball shape (ø 9 cm) is a very good alternative to conventional weight cuffs and dumbbells, which enables balance and swinging exercises. Included in the scope of delivery is a practical exercise poster, so that you will be shown the first steps. It is important to carry out the exercises precisely and to maintain your own posture, as the muscle groups are then optimally trained. Whether stretching, building up strength, lifting or reducing weight - you can train all body groups using different training methods. The muscles are forced to compensate for the constantly occurring imbalance. This promotes the muscles of the leg, pelvis and lower back that are responsible for fine motor skills.